Do you want to improve your handwriting quickly and easily? You Can Stop Worrying About Your Bad Handwriting... Even if Your Handwriting Seems Hopeless! In Just Minutes From Now! Your poor handwriting can cause you embarrassing problems... in your career, with writing quick notes to coworkers and even when you want to send a nice card or letter to a loved one! ~ Don't let your less-than-perfect handwriting cause you to... fail to apply for that 'dream job' you've always wanted. ~ Or cause you embarrassment so you... stop sending notes and cards to loved ones! Not when there is a simple and inexpensive solution right at your finger tips! Just like this man does! "I've been cursed by bad handwriting since my childhood, and throughout the years it just got worse, as nowadays I type most of the stuff and seldom handwrite things. But, every now and then I have to write a check, write the address on an envelope or need to leave a quick note on my co-worker's desk...and each time it takes me ages to write it down in a legible form and it looks the writing of a preschooler! It's very embarrassing, especially when you're a professional and you feel people will judge your academic abilities from your handwriting. I heard about Master Handwriting Course, and thought I didn't have anything to lose by giving it a try. Well, I can honestly say that it was one of the best purchases I have ever made as my handwriting was the thing I disliked most about myself and now it is no longer an issue! Hi, my name is Manuel Carter. I've struggled with my poor handwriting for years, so know you are not alone. I turned down job advancement opportunities and going to job-related seminars... because this would require that I hand write forms to apply. I was terrified to have anyone see my handwritten responses. So with that said, if you have a similar problem and don't like your own handwriting... then, I do know how you feel. It's a problem no one should have to suffer from. When I failed to get promoted (for a new position I knew I should have got), I became very depressed and disheartened. My failure to be given this promotion made me wonder if my poor handwriting had something to do with it. I knew I did not want to endure the humiliation being passed over again! I had to find a fast, easy and low cost solution to improve my handwriting. So I searched the Internet for a handwriting improvement course that didn't cost an arm and a leg -- or took a ton of time to do. I wanted something I could do in the privacy of my home. Sure there were lots of expensive self-improvement and job counseling courses on how to fill out applications -- but that is not what I needed. All I wanted was a simple handwriting course, like a mini-handwriting course. I was on a budget and maybe you are too. The course had to be low cost and effective. And I didn't have a lot of extra time to do it either, so it had to work right away. Through considerable trial and error and using many programs that promised to fix my handwriting problem and did not deliver... I finally found one that did! the first time I tried it. Then as I continued following the simple steps my handwriting significantly improved so I was writing legibly and effortlessly -- in only 1 week! A couple of weeks went by... and I received another notice for another work-related seminar. Finally (having practiced my handwriting over the last couple weeks), I felt confident enough to fill out the handwritten application and apply for the seminar. The best thing is... I got a good comment from the boss when he found out I was going to attend! My career was finally headed in the right direction! That's right; you don't need any expensive schools, tutors or teachers. What I have for you is a complete and simple to follow handwriting improvement mini-course. This handwriting course will help you start writing better, and more legibly in just minutes -- without a lot of frustration or taking hours of practice. And you can do it in the privacy of your own home. Improve your handwriting in just minutes! These simple and effortless genius of this new way of improving your handwriting is... so easy to do, you'll wonder why you never tried it before! The fact is, like most things in life, it's easy to improve your handwriting once someone shows you how. The simple handwriting methods are proven to work. They've worked for me and hundreds of other people (and even young children) who have tried it. Remember, these were people who hated their handwriting -- and with the help of my handwriting mini-course, now they LOVE to write! Are you a worried parent who has received notes from your child's teacher concerning your child's poor handwriting? If you have ever had to attend humiliating meetings about your child's problems with their school work and handwriting skills then you know how frustrating this can be. Many children have tried and improved their handwriting in just days with my mini-course. Children are happy to use the low-stress, simple, and easy to follow handwriting improvement lessons. These lessons are fun for your child and you to do together. Your child can easily copy the handwritten letters in the full sized printable sheet, so practice is fun and they will be so happy to see their improved writing in their first try! When your child uses the mini-course you will find your child's handwriting improving in quickly and easily! That would be a welcome relief and a load of worry off your back wouldn't it? Remember the lessons are really simple and easy to follow. I know a 5 year old child can follow the letter samples and write better. So I am sure your child is older that that aren't they? So it will be no problem for them to use it too. Then once their handwriting skills improve, they will be able to feel more confident and self assured in doing their homework and taking tests at school! They'll feel better and you can stop worrying too! Many of the people, who have used the mini-course, didn't know what they were doing wrong. Once they knew and they corrected these minor problems, they told me, the simple things they had to change, they would never have even thought of doing! Easily find out how to get correct spacing between letters and numbers. Simple steps to align letters with the correct slant. How to make your letters more similar in size and shape. IT IS AMAZING! You can follow the easy-to-understand and use methods by just copying the letters and numbers. I promise you can improve your handwriting within minutes of reading the book and following the first lesson! How to practice your handwriting correctly with the right aids. Best tips for improving your handwriting significantly in just days! Stop doing the things that ruin your handwriting! Find out what most people do wrong when writing! How to improve your handwriting even if you are left handed! Now you can finally get that higher paying job! 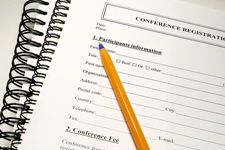 Do You Want To Write Well Enough To Feel Confident About Applying For A Higher Paying Job? This is the ultimate solution for improving your handwriting in the shortest time possible! The simple and easy to follow methods are proven to work no matter how bad you handwriting is now. Available to you now, instant download with everything delivered to you right away. When you download this handwriting mini-course, you will find it is like having a private handwriting tutor guiding you through each handwriting problem you have, even if you are left-handed! There's a special section just for people who write left-handed as they have special problems that I will tell you about and help you to avoid. Get the neat and legible, handwriting skills you have always wanted. I stand behind my handwriting mini-course 100%. So you can try it now risk free! Do you wish you could write business and personal letters that sound and look great! Now you can! 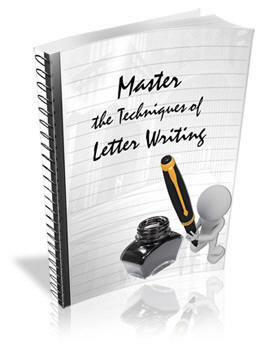 The guide "Master the Techniques of Letter Writing" will help you to write letters writing in different forms - business, and personal, including formal and informal writing styles. Everyone needs to write letters or emails in daily life. You can use this easy to understand guide to improve your letter writing so you look great with all your new and improved handwriting skills! These letter writing techniques will give you a good foundation of the layout, formatting and writing of your letters. You can easily sharpen your skills and master all the facets of letter writing by following the simple steps in your free bonus guide! Anyone can draw but not everyone can make good drawings! Beginning Pencil drawing is a skill you can easily master, when you follow the drawing lessons inside this guide. Practice makes drawing perfect but foundation on the theories and techniques in drawing paves the way for better drawings you'll be thrilled to show your family and friends! 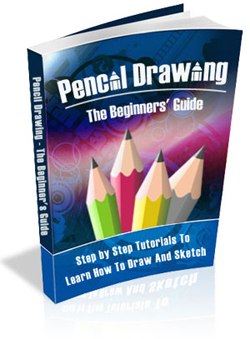 This guide is for beginning artists who would love to enhance their pencil drawing skills. Anyone who loves to draw can become a better artist by just following the teachings in this easy to follow guide. This guide shows many beginner drawing skills including how to properly do perspective drawing. You can soon have a good foundation of pencil drawing skills. Find practical drawing, shading and image creation tips. All you have to do is download the book and then you can have fun with the step-by-step lessons and draw people, cars and animals! yours free when you order right now! You will find the lessons easy to follow and you will quickly improve your handwriting skills -- in just minutes! Thousands of people need to improve their handwriting and now there is a simple, and easy to understand handwriting course that will help you write beautifully like you have always wanted! Get This... You can now have a fantastic opportunity to get your hands on and access the best handwriting course available on the web in just minutes from now. "I am so glad to have finally found a guide on improving handwriting. I've had ugly handwriting ever since I can remember, and back in my school days I kept getting bad grades because the teachers could not read my handwriting properly. I had given up on improving my handwriting, as I am now in my forties, but I've been following the advice in Master Handwriting diligently for a week, and my handwriting is definitely getting better! I am very excited to keep practicing the tips you give in your book, cause I've been self-conscious about my handwriting all my life and it feels so good to be finally able to write legibly! Thank you!" I was glad to see that Master Handwriting has a section specifically for left handed people and I found that the one tip you gave about paper position immediately resulted in much better handwriting. I can't believe I had been doing it wrong all along!" ...his teachers keep telling me that he needs to improve his handwriting. "I bought Master Handwriting for my son as his teachers keep telling me that he needs to improve his handwriting. We've been doing the exercises you mention together and they're actually loads of fun. Oh and his teachers have told him that his handwriting is getting better, and they keep writing him nice notes about it when they correct his essays!" "I have tried to improve my handwriting on my own in the past, without success. It's frustrating really; some people are just born with handwriting that looks like art while some of us are stuck with one that looks like we were having a seizure whilst writing! What annoyed me the most about my scrawl was when I'd be writing greeting cards - I love to write cards and I've been told I'm a very creative writer, but people just couldn't read my handwriting. They had to stop at almost every word and try to figure out what it was! Most of the time I opted to just type my message and print it out, but I feel that it takes away the intimacy of the message. I bought your book because it was the first one I've found on improving handwriting, though I must admit I didn't expect much. However, I was pleasantly surprised as the information made so much sense and I had never thought that things such as pen grip and feet placement can make such a tremendous difference on your handwriting. I've been practicing using your tips every day, and my handwriting has improved to the point that it is not just legible but actually pleasing to the eye! Last week it was my mother's birthday and I wrote her card by hand...and...even though she's at a blessed aged of 78, she had no problem reading my card!! Thank you, thank you so much!" 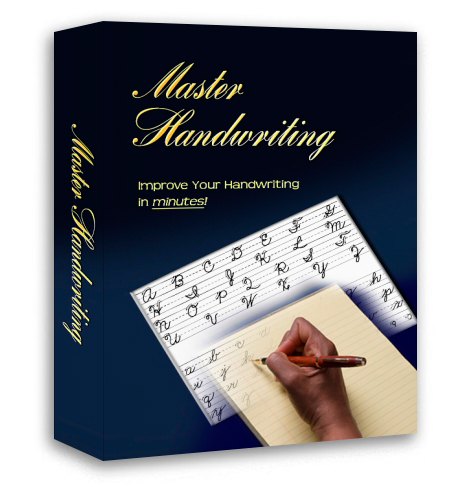 You need to download the handwriting course now... before the limited time bonuses disappear. 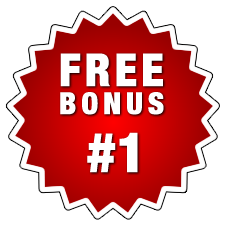 Get your $34 worth of free bonuses right now! Heck, just the two bonuses, the 'Master the Techniques of Letter Writing' and 'Pencil Drawing for Beginners' are alone worth the price! Remember...When I get enough people at this lower introductory price, (I have this at a lower price to gain more testimonials....) Then I am going to raise it to $37. So beat the price increase and save $10! I don't know if I will ever offer this handwriting training for $17 ever again. You'll never have to worry about your poor handwriting anymore, because once you download the course, and read it and follow the fast and easy to do lessons; you'll understand EXACTLY what you need to do to improve your handwriting -- in just minutes! 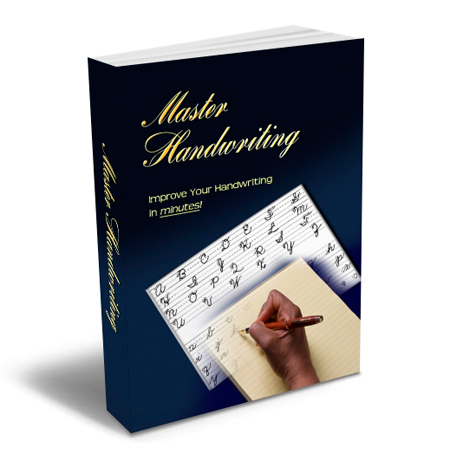 Imagine how good your improved handwriting will look and how that will make you feel! Imagine looking at your beautiful and legible handwriting and loving the way the letters flow and look, just like you have always dreamed! Yes, Manuel I Want To Improve My Handwriting! Just try it and see; you only have your bad handwriting to lose. Try it 100% risk free. You will improve your handwriting or I will send every penny you paid back. Get the help you need, and start writing beautifully and legibly. Here's to helping you improve your handwriting and landing a better job, today! P.S. Remember you get my proven handwriting improvement course. Just try it!. Take it use it and improve your handwriting. That's as simple as it gets! P.P.S. Please read the testimonials above, I received recently from the people who have used my handwriting course to free themselves from worrying about how to improve their handwriting. After using the course people rave about their beautiful handwriting. That is what you would like to do isn't it? So try it now! P.P.P.S. 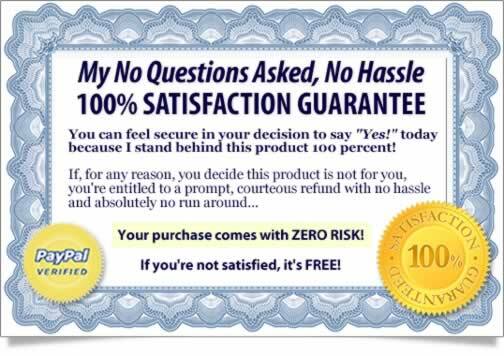 Remember, you're totally covered by my 100% no questions asked money back guarantee for a full 60 days... so you have nothing to lose!